NOTE: The delivery service offered on this product is based on a Two man service. Booking in with an AP or PM slot they will, on arrival, offload the goods and allow you to unwrap and inspect All the above sizes are in millimetres (mm), imperial sizes are rounded up to the nearest inch and the rebate is the depth within the surround. Bemodern Hearths are provided in the size stated in their Brochure, whilst the Europa Hearths are available in 48" or 54"inches long (Top surface) with a projection of 15" inches (Top surface) out from the wall and approximately 2" inches in height from the floor, which are general industry sizes. 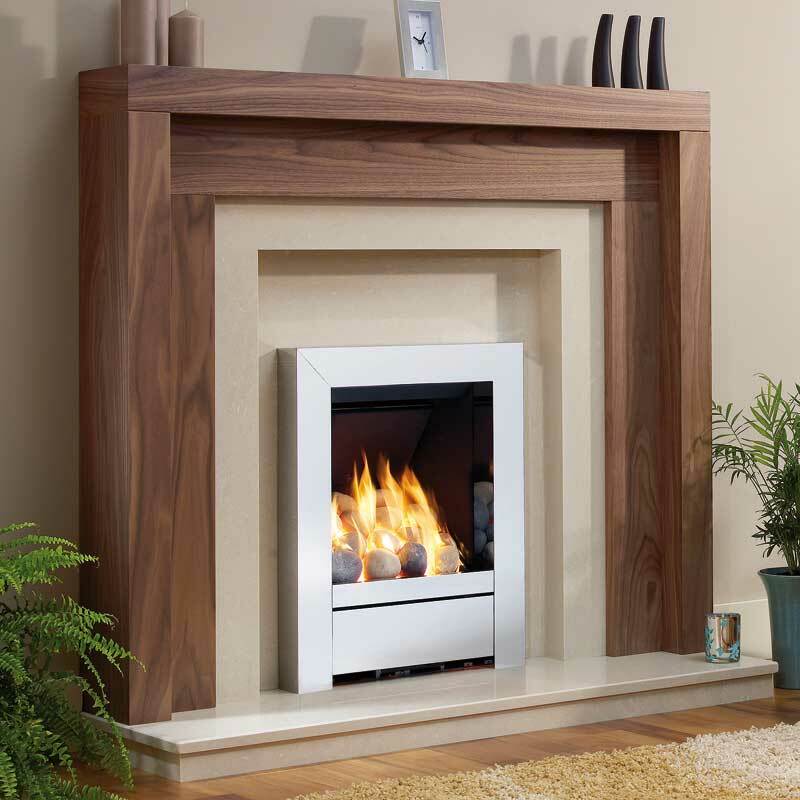 Note - Bemodern Timber & MDF wood effect veneered finished mantels / surrounds are only suitable for use with gas fires, (with the exception of catalytic fluless gas fires) or electric fires and cannot be used with a real solid fuel fire.